Explore some of Dublin's awesome but often overlooked attractions that are a little further afield on the Northside of the River Liffey. Take Dublin Bus Number 4 from Dublin City Centre to the entrance of the National Botanic Gardens. Pop into McMahon's of Botanic Ave for coffee and a pastry before taking a stroll around the National Botanic Gardens. 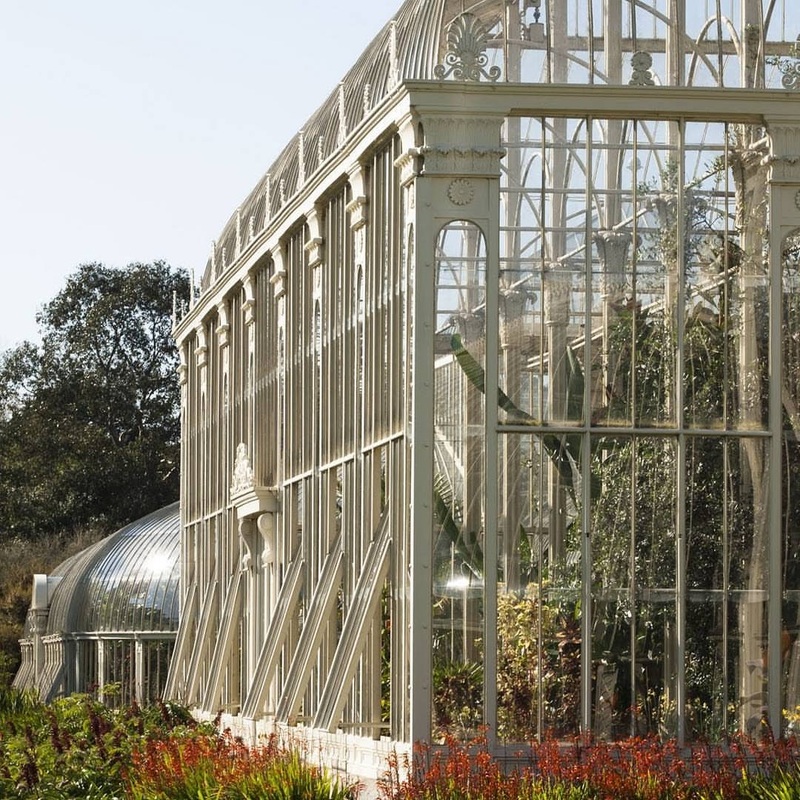 Founded in 1795, Dublin's National Botanic Gardens are free and open to the public. Atmospheric Victorian-era greenhouses dot the expansive gardens. Flower gardens, burbling rivers, and an arboretum will keep you busy for a few hours. Seasonally, you can visit Sculpture in Context where local artists display their works in harmony with the natural surroundings. Stop at the National Botanic Gardens visitors' centre to see what docent-led tours might be happening during your visit. We took a walking tour through the gardens which focused on plants of Chinese origin. Seek out the gate that connects the National Botanic Gardens with Glasnevin Cemetery. 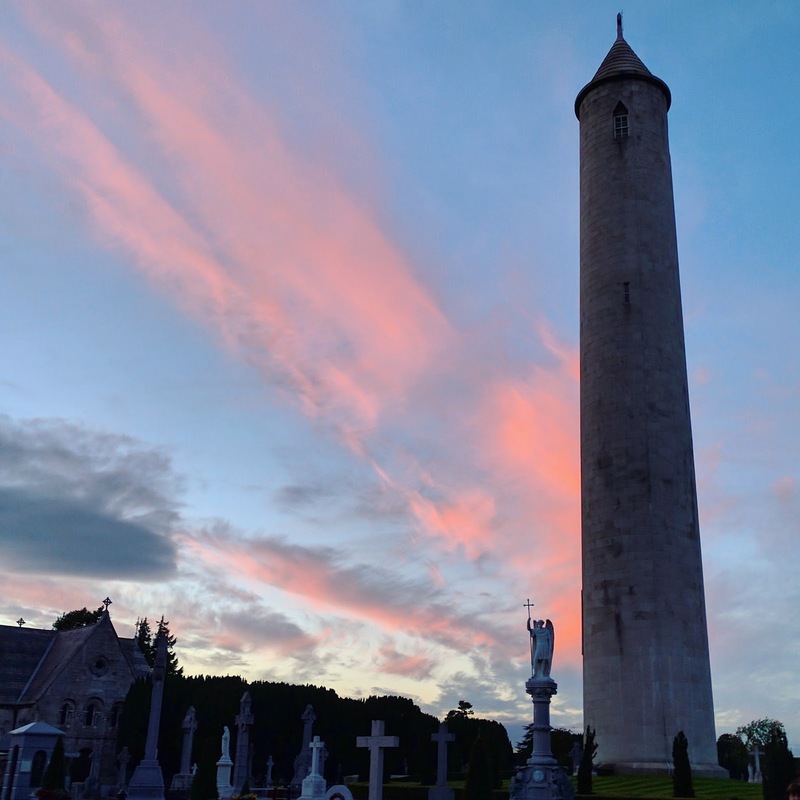 Glasnevin is a wonderful spot for a crash course on Irish history. The cemetery is done in the garden-park style and is lined with trees and other foliage. You'll find a museum on the premises along with a cafe and other facilities. The museum is tastefully done and separated from the cemetery proper by a black privacy wall. Take a tour of Glasnevin Cemetery and you'll find yourself regaled with stories from the time of Daniel O'Connell "The Liberator" through the 20th century. O'Connell commissioned and funded the cemetery as a non-denominational resting place and his tomb sits beneath a tall tower. A bomb was set off in the 1970s which charred the inside of the tower and blew out the wooden staircase. Keep an eye out for famed Irish writer Brendan Behan's final resting place. On the anniversary of his death, it is said that his headstone is covered with pints of Guinness from respectful fans. Learn about Irish Independence and the Pro- and Anti-Treaty factions of the IRA. Some of the principle antagonists are buried within 50 feet of each other in Glasnevin Cemetery. Enjoy a pub lunch and craft beer at Porterhouse along the Royal Canal. If you are feeling extra ambitious, walk along the Royal Canal for another 10 minutes to the statue of Brendan Behan and pay homage to the bad boy of Irish writing. Walk through the Phibsborough neighborhood of Dublin to Blessington Street Basin an amazing park centered around a lovely man made lake. You may find swans nesting on bales of hay that had been tossed into the pond. Apparently the bales serve not only as great nesting fodder but also to prevent algae blooms. Various bits of copper art are nestled in the stone wall surrounding the park. Blessington Street Basin is a former water reservoir built in 1810. At different points in time, it served to distribute water from the Royal Canal to Dublin City Centre and supplied the Jameson Distillery. This park is truly a hidden gem in the heart of the Dublin's Northside. For dinner wander over to Capel Street for authentic spicy Chinese Food at Hailan or Irish pub food along with a spot of traditional Irish music and dancing at The Church (literally homed in a deconsecrated church) before calling it a day. 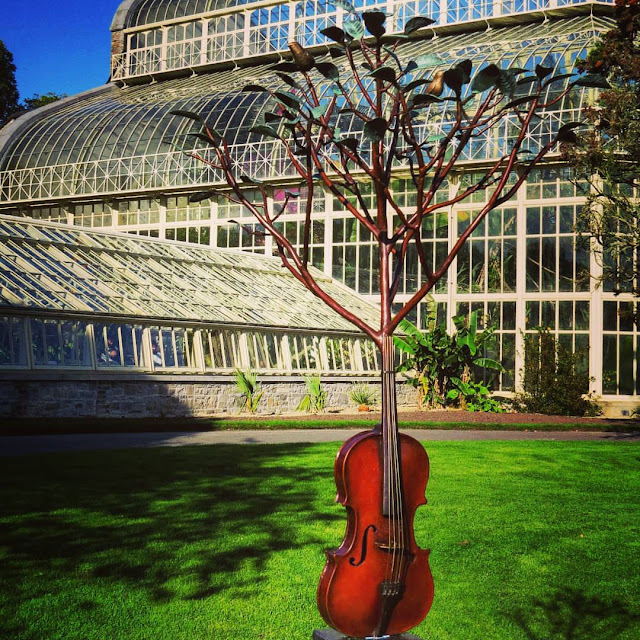 Discover a one day Dublin City itinerary focused on the northside of Dublin including the National Botanic Gardens and Glasnevin Cemetery. 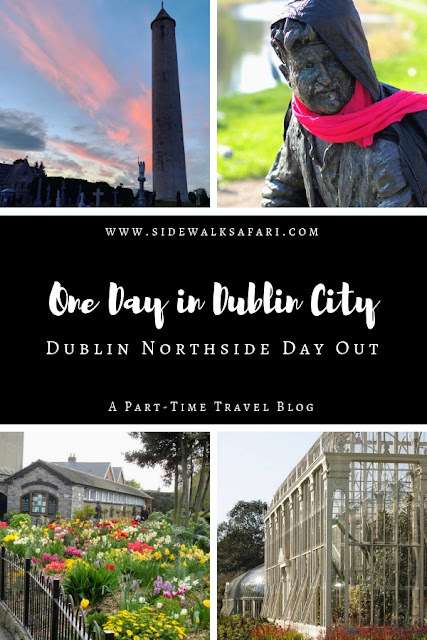 Explore Dublin's Northside for a day.